Thus the space she creates through drawing, printmaking, and installation become a metaphoric place where the visual elements and logic play out such scenarios. During the process of creating her work, she is inspired and informed by the use of layers both as a concept and method in printmaking, the abstract paintings of Bob Slutsky and the Pattern and Decoration movement of the 1970s and 1980s, and Asian calligraphy. KimyiBo has participated in a number of exhibitions in Seoul, and Minneapolis, and has had four solo shows. In her new found home in Geneva, she has been invited as an artist in residency at Centre genevois de gravure contemporaine. 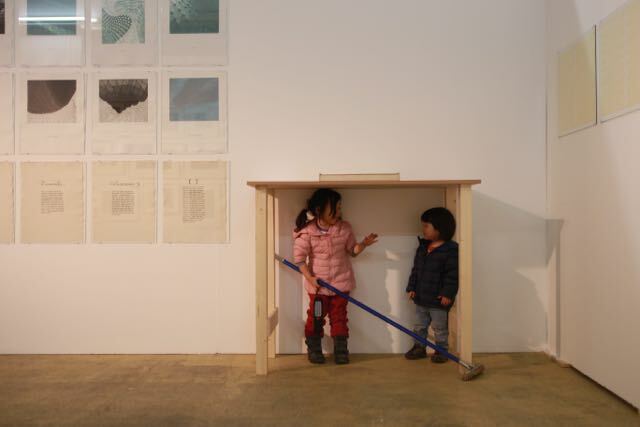 Her practice extends to her involvement with a local community through collaborative projects and workshops. She is currently researching transpedagogy—blending art and education in order to create innovative forms of knowledge production and exchange—at Haute école d’art et de design. Apart her role as an artist, she is a hobbyist writer and calligrapher. 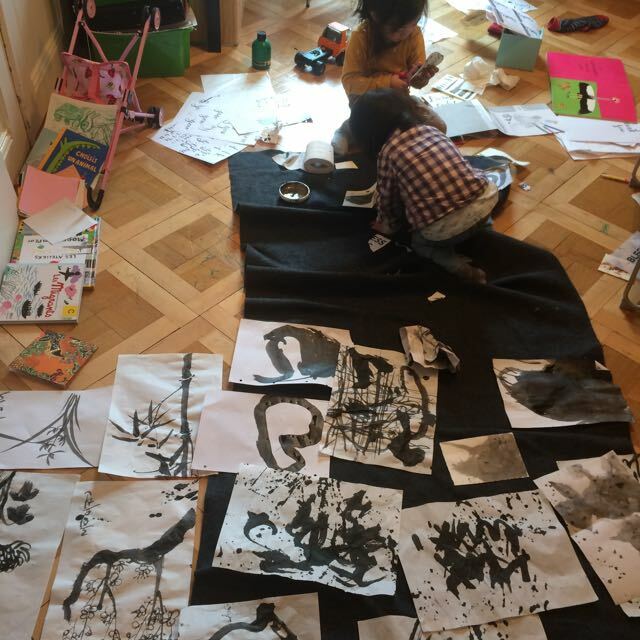 She posts the motherhood journal in her blog and teaches calligraphy.